At Success Labs, we are fortunate to have opportunities to partner with amazing organizations that are truly making a difference in the Baton Rouge area. 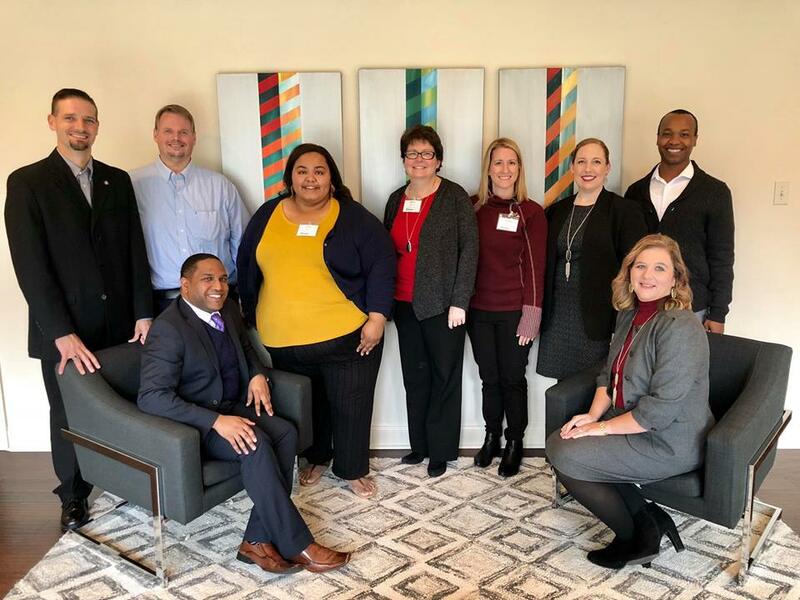 For our most recent Leadership Coaching Series, we were able to connect a team of dynamic business leaders with one of the most impactful nonprofits in our region: McMains Children’s Developmental Center. A team of six business leaders from our last Leadership Coaching Series of the year recently presented detailed action plans to help McMains raise awareness and further its important mission of assisting children with a range of developmental challenges. The presentations capped off 5-weeks of the Leadership Coaching Series, which features competency-based leadership assessments, experiential learning and individual coaching — concluding with a community-based project supporting a nonprofit organization. 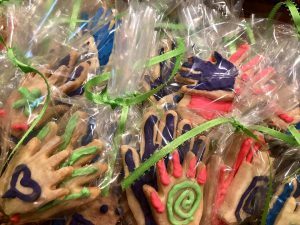 Here’s a look at what the participants developed for this amazing organization helping children with special needs throughout the Baton Rouge region. Promotional logo cookies made by the team. Founded in 1954 with a focus on assisting children with cerebral palsy, the nonprofit McMains Children’s Developmental Center has greatly expanded its mission over the years. It now offers diagnostic, treatment and rehabilitation services that include speech therapy, occupational therapy and assistance for children with developmental delays. In addition to its wide range of services, the McMains center also offers a summer art camp for children with disabilities and their siblings; provides adapted bikes; holds an annual canoe trip at Tickfaw State Park with adapted seat canoes; and features an “inclusion house” that teaches children how to perform day-to-day chores using assistive devices. “McMains is definitely a great asset for our community,” says Leadership Coaching Series participant Carrie Wood of Mary Bird Perkins Cancer Center. After touring McMains and meeting with the organization’s leadership, our Leadership Coaching Series team — Carrie Wood, Chad N. Bonura, Brian Dunbar, Tanya Suter, Shane Bates and Chris Brooks — developed and presented detailed action plans directly to McMains leaders and a group of business executives, who offered feedback on the content and delivery. While this series was special and small in size, this group more than made up for it with their creativity and dedication, leveraging the content we covered throughout the series and putting into action by concentrating on the impressive assets McMains offers. These are real-world, practical ideas that McMains leadership can build on or implement. The group of leaders proposed changing the name of the facility to “The Children’s Developmental Center: Dr. Frank McMains Memorial Clinic” to clarify the mission for the public while still honoring its namesake. The name was changed in 2000 to honor longtime volunteer Dr. Frank McMains, who donated his time performing orthopedic medical services for more than three decades. The team suggested this could mistakenly lead some members of the public to think the center is a family-owned and operated facility rather than an independent nonprofit. Other suggestions included increasing community collaboration through partnerships with local schools, instituting group therapy to expand capacity, creating family-centered fundraising events, and offering internships with regional universities. They also mapped out a strategy for expanding the facility’s social media presence, including the creation of an organizational LinkedIn page. “This will help to strengthen partnership opportunities with corporations or institutions of higher education, allow you to disseminate research and expand your volunteer pool when needed,” said group member Brian Dunbar of Kids’ Orchestra. Each of the proposals were backed up by data and other supporting information that we hope McMains can build upon moving forward as they see fit. At Success Labs, our goal for the Leadership Coaching Series is to help emerging and established business leaders maximize their skills while making a positive impact in the community. We can’t imagine a better organization to partner with than the McMains Children’s Developmental Center. The Leadership Coaching Series is a development program for talented leaders who are in line to take on higher-level leadership roles at your organization. Participants leave with an understanding of the competencies they’ll need as they take the next steps in their careers and action plans to help develop those competencies. The ideal candidate is a successful manager who was recently promoted or is being considered for promotion to a higher-level leadership role.